Waterfall Info: This remote waterfall is the upper waterfall on Rough Creek, located 0.2 miles above Cooper Falls. The scene is one of the more beautiful off-trail treasures of the Cohutta Mountains, but it is very difficult to convey in pictures. The waterfall consists of a series of steep cascading drops snaking their way through a mosaic of emerald green boulders. At the top is a gorgeous sheer drop about 30 feet high, surrounded by boulders and cliffs. 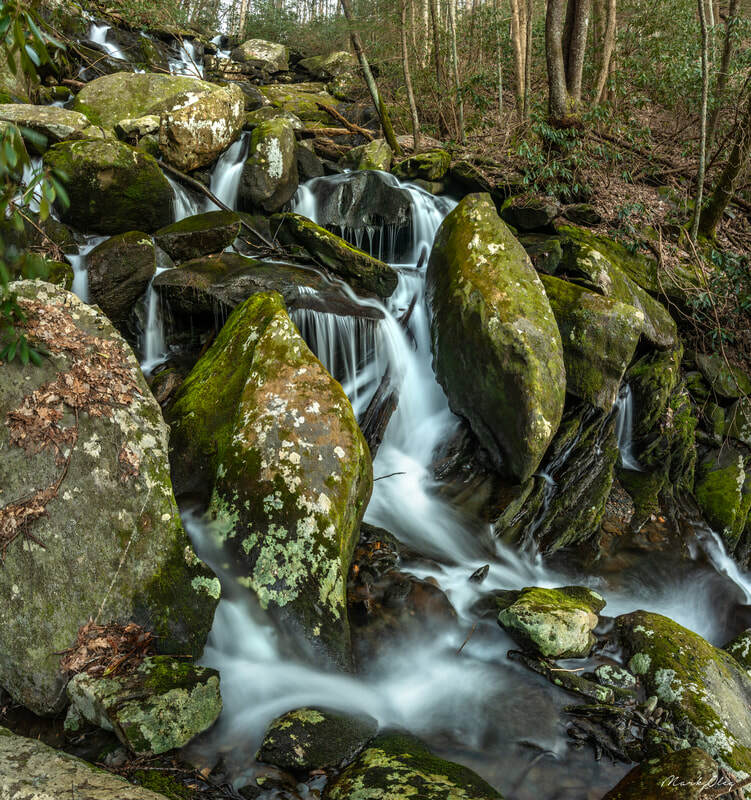 Access Info: The hike to Emerald Mosaic Falls begins along the Hickory Creek Trail from FS 17. 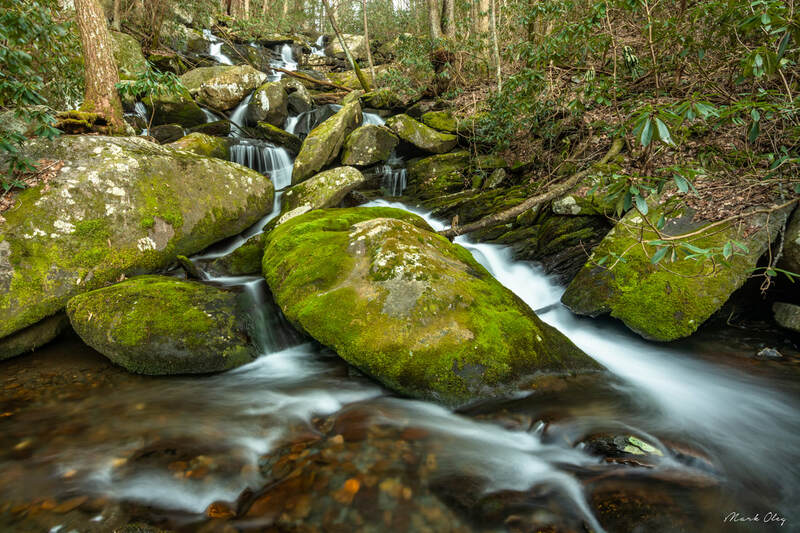 You will leave the trail near Rough Creek and begin hiking upstream along Rough Creek along an ancient railroad grade, which leads to Cooper Falls first in 1.3 miles. The railroad grade has numerous downed trees, so it is not easy off-trail hiking. Once you are at Cooper Falls, you will need to scramble around the falls on the west side, encountering heavy deadfall. 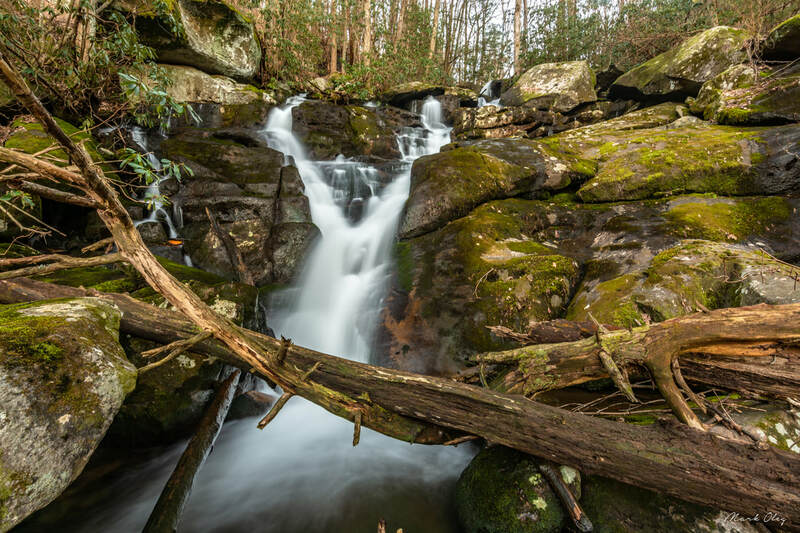 Beyond the top of Cooper Falls, the woods open up and it is a steep 0.2-mile bushwhack to Emerald Mosaic Falls. You will want to cross Rough Creek to the east side about halfway up.